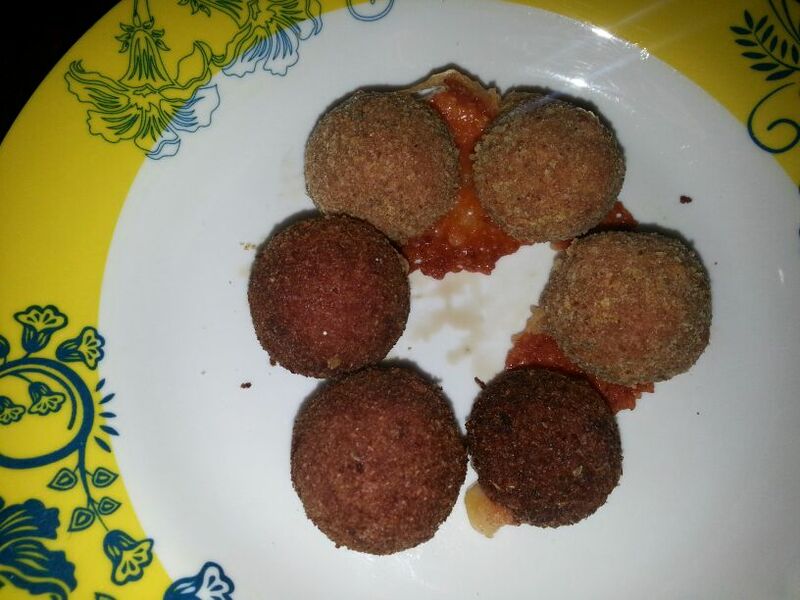 We love and enjoy the cheese poppers from Chillis Restaurant. Deep fried crispy outer crust with oozy cheese inside.. yummy. About a month back I searched through the internet to find a recipe for the cheese poppers. 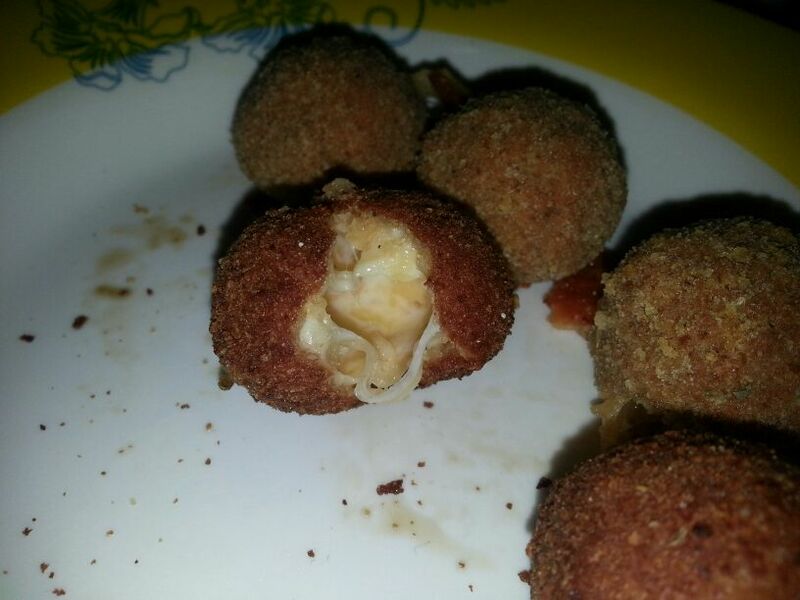 I found plenty of recipes for Jalapeno poppers and some made using readily available mozzarella cheese balls. 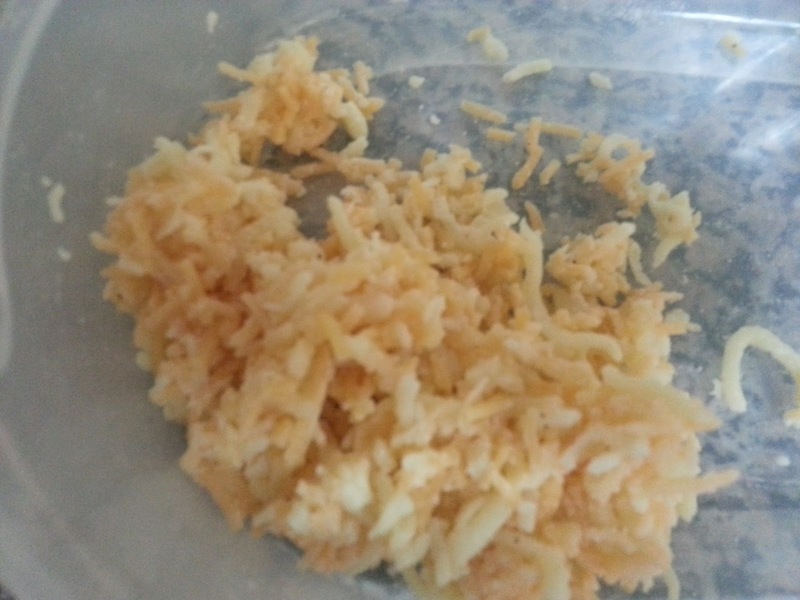 All I had in hand was shredded mozzarella cheese. Hmmm.. 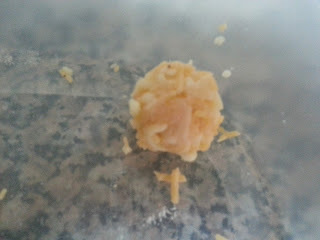 I tried to roll a ball out of the shredded mozzarella but it simply fell apart. Disappointed on not finding a recipe I almost decided to let go and continue to eat it only at the restaurant. I then thought why not add a few drops of water and see. 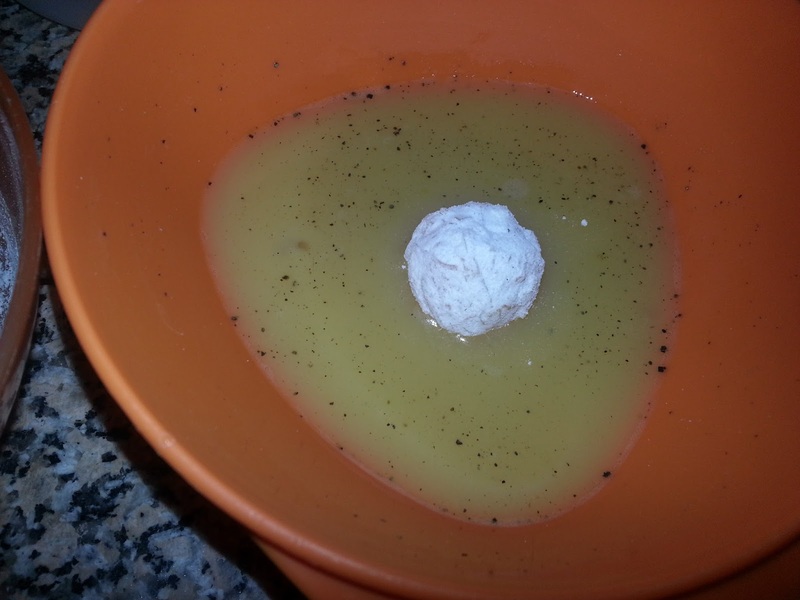 The mozzarella still did not roll in to balls. I then under lots of over built frustration added about 1/4 teaspoon of all purpose flour to it and tried again and voila!! Perfectly formed mozzarella balls. I now knew that I would for sure be surprising my husband that evening. So here is the recipe..my very own cheese poppers. 1. 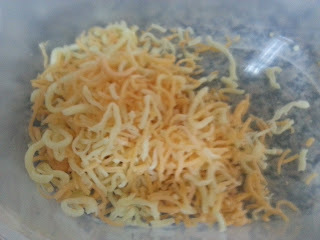 Mix together the shredded mozzarella and Cheddar cheese. 2. Sprinkle some water on it. 3. 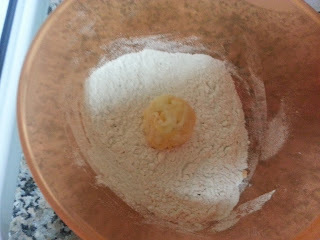 Sprinkle about 1/2 Teaspoon all purpose flour and bind the cheese together. 4. Roll it into small balls and place it in the refrigerator for at least 15 minutes. 5. Take 3 bowls or hollow plates. 6. 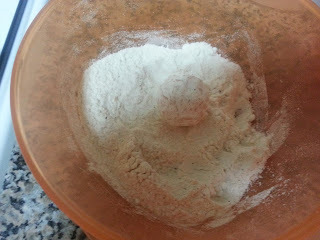 In the first bowl, add some salt and pepper to all purpose flour and mix well. 7. In the second bowl, beat 1 egg with 1 tablespoon of milk, some salt and pepper. 8. 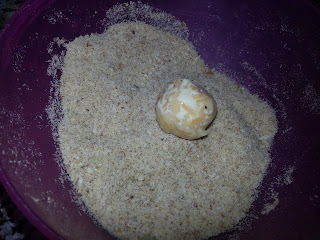 In the third bowl, add bread crumbs and oregano and mix well. 9. 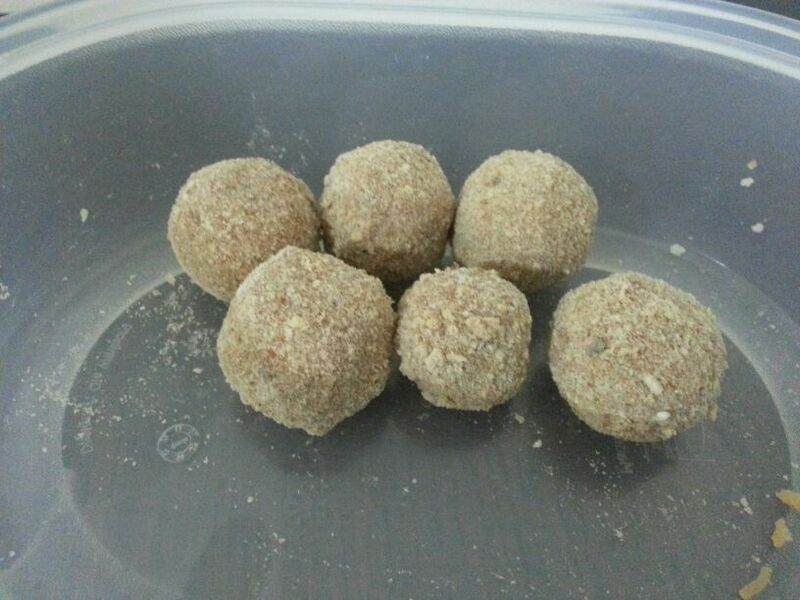 Take the chilled cheese balls out of the refrigerator. 10. One at a time, first roll the cheese ball in the flour. Make sure it is evenly covered and shake off the excess. 11. Next drop it in the egg bowl and coat evenly using a fork. Shake off excess. 12. Now Drop it in the bread crumb bowl. 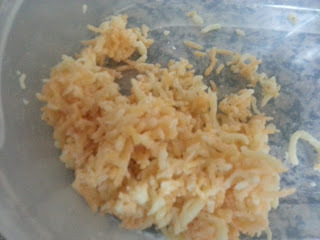 Coat evenly by dropping spoon fulls of bread crumb and rolling the cheese ball. Shake off excess. 13. Drop it again in the egg followed by bread crumbs. You can stop here by double coating or repeat once more by dropping in egg then the bread crumbs to create a triple coating. 14. 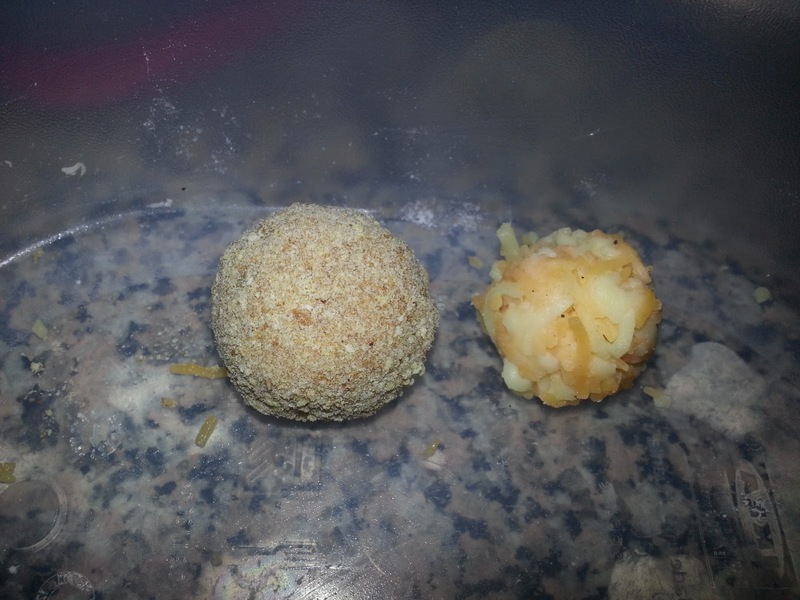 Keep the coated cheese ball aside. 15. 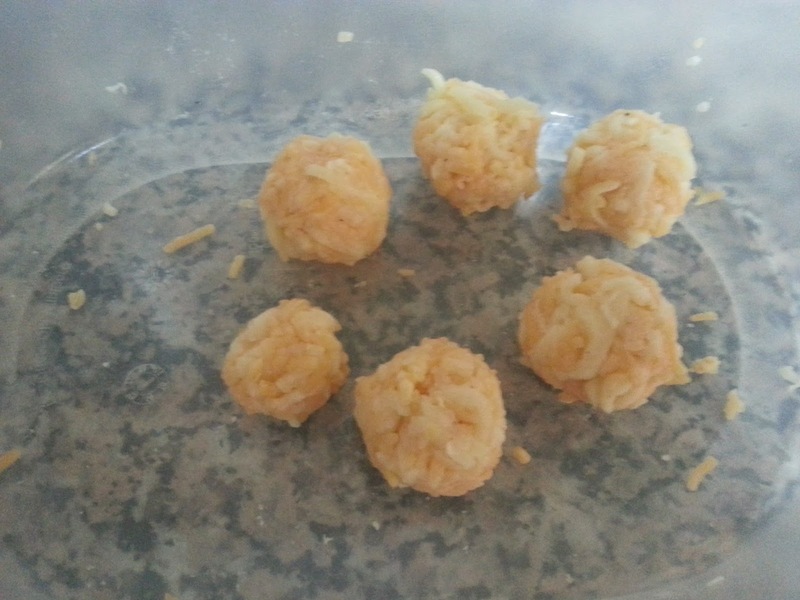 Coat the remaining cheese balls in the same way. 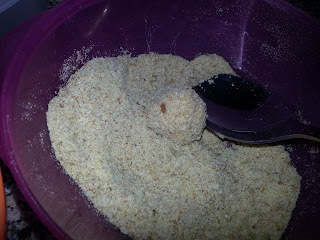 Once in flour, egg and bread crumbs then coat once again or twice in just egg and bread crumbs. 16. Place them again in the refrigerator till you fry them. You can also freeze them to fry in the future. 17. Deep fry them on low flame just before serving. 19. You can keep them in a switched off preheated oven after frying to maintain the consistency of the melted cheese. 1. The left over flour and bread crumbs can be stored separately for future use. 2. 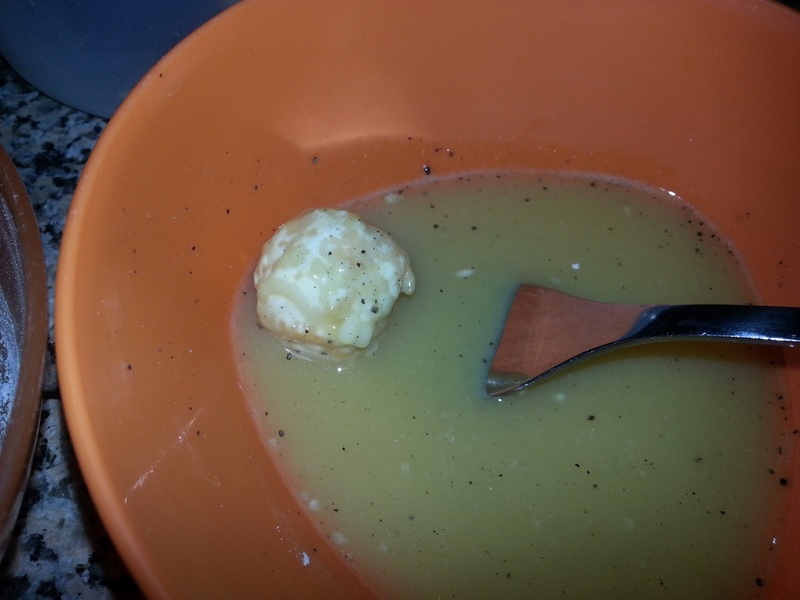 The remaining egg can be fried into an omlet by beating it again before frying.